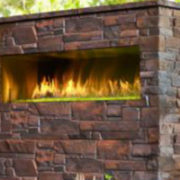 If you want to have a new fireplace installed, or are just wondering what some of the fireplace manufacturers you will find at our store in Voorhees, NJ, you can find a list of them by clicking here. However, if you’re looking for a little bit of information on just a handful of the manufacturers we work with, continue reading what we have listed below. 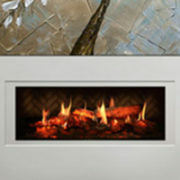 Heatilator is one of the longest standing fireplace manufacturers. Like all of the manufacturers that we work with, Heatilator is well-known for offering expertly crafted fireplaces that are sure to make your house feel like more than just a home. Not only are their products known to be extremely reliable, but they are also more affordable for those who are on a budget. 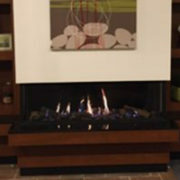 Mendota boasts not only award-winning gas fireplaces but also gas fireplace inserts and stoves. The company was built upon the promise that they would offer customers highly efficient and reliable gas products. 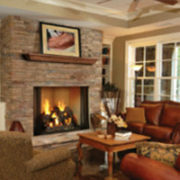 The company was founded over a century ago, and they are still providing the top of the line fireplaces they have become known for. 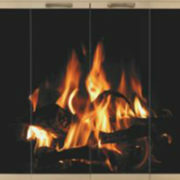 If you want a fireplace that is sure to be made in the USA, then look no further than American Hearth. 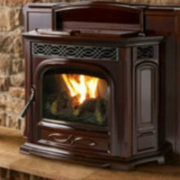 The company offers both indoor and outdoor fireplaces, burners and logs, mantels, and cast iron stoves. American Hearth has two manufacturing facilities, and some of their current staff are even the grandchildren and great grandchildren of those who originally started working at the company when they opened in the early 1930s. Since the beginning, Napoleon has been committed to making customers feel as comfortable in their homes as possible. 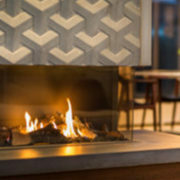 Furthermore, since the company was founded in 1976, they’ve also been dedicated to offering some of the most innovative fireplaces you’ll find on the market today. They are proud to be one of Canada’s Best Managed Companies, and there’s no doubt you’ll find many of their fireplaces in the homes of those who live in Canada and the U.S. High-quality and unique – that’s Town & Country. Over the years, this top fireplace manufacturer has received recognition for offering some of the most flexible and reliable fireplaces available today. To learn more about these manufacturers or the gas fireplaces available at our store in NJ, please feel free to browse our site, fill out a contact form, or give us a call at your earliest convenience.